Look elegant and charming not only be seen from the way they dress, ramput also very supportive your appearance to look more attractive. 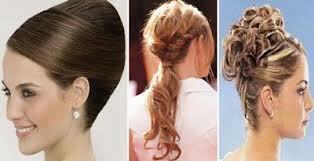 By using a few accessories, your hair will look more charming and graceful. 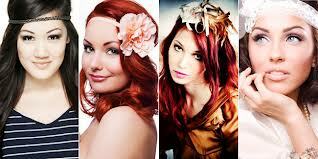 Here are some options hair accessories that you can use and how to use them. Perhaps you think that the tie hair back with rubber is old and outdated. Do you think that is absolutely not true, because the shape of a horse tail hair is worn by a model that does not age and can follow the trend today with the use of rubber elastic colorful and patterned. For example, floral or made of rocks. Tip: if you tie your hair up high, then your cheekbones will look higher too. Pinch is the right solution to make hair look beautiful and charming in an instant. You can use a clamp around the fringe area to appear more feminine. Tip: You can use a thin flops for short hair and thin hair. Vice versa, for thick and long hair you choose a rather large bus. But do not ever use the clip accompanied by the use of accessories such as necklaces and earrings. Because it would look more "crowded". Let me not look weird, if your hair is short you can wear a little hat forward until close to the eyebrows. You can be tilted up by pulling cap rear cap if you have long hair loose. Your appearance look more proportional way. Tip: You can remove hair or tie it at will using a beret. If your hair is long, you can leave a few strands of hair covering the ears to make it look more beautiful. Basically, headbands serves to hold the bangs. Now you can use it only as a sweetener headband to make it look stylish. How: pull hair leaving the bangs backward to stay ahead. Approximately 1 cm from the boundary of hair growth on the forehead, you can put headbands then tie the rest of the hair on the back. Tip: do not choose a headband is too tight, to avoid a headache. Bandana, basically can be used anytime and with any style. Sporty, trendy, or feminine. One popular style is to wear a thin bandana close to the hairline, where the hair is set with disheveled style, for a fresh look. But remember, when you decide you want to perform with style like this, be sure to wear makeup and accessories to avoid looking-new-just-wake-sleep on your appearance. Another way is to simply tie your hair into a ponytail and then wear a bandana that matched the style of your outfit. Or it could be to let your hair loose and disheveled use bandanas as a "frame" that will sweeten your appearance. The best thing about the bandana is that it can be used for almost all hairstyles and hair types. Would look lovely on a long straight hair, curly or short hair in a bob. No matter what style your hair, try using a bandana for a different look.